Many thousands of alleged movie pirates in Sweden have been hit with demands for cash settlements in recent weeks. 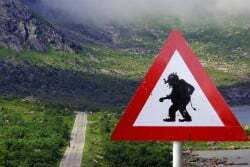 The 'fines', which amount to around $550 each, are being sent by Njord Law, a law firm acting on behalf of international copyright trolls active in several different countries, including the United States. In 2016, mass ‘copyright-trolling’ hit Sweden for the first time. An organization calling itself Spridningskollen (Distribution Check) claimed its new initiative would save the entertainment industries and educate the masses. Following a huge backlash, however, the operation shut up shop and retreated, tail between its legs. But for those who expected the trolls to disappear altogether, bad news was just around the corner. In February 2017, Danish law firm Njord Law was found to be at the helm of a new troll operation targeting the subscribers of several ISPs, including Telia, Tele2 and Bredbandsbolaget. Some 42-pages of court documents revealed that thousands of IP addresses had been harvested, potentially linking to thousands of subscribers. After receiving permission from the courts to obtain the personal details of alleged pirates, things went a little quiet. However, according to local news outlet IDG, the floodgates have now been opened, with several thousand ISP subscribers receiving cash demands from Njord Law in recent weeks. “We have sent out a few thousand letters, but we have been given the right to obtain information behind many more IP addresses that we are waiting to receive from the telecom operators. So there are more, ” lawyer Jeppe Brogaard Clausen told the publication. Indeed, an indication of the scale of the operation can be found in the order obtained to target customers of ISP Telia. In that batch alone the court granted permission for Njord Law to obtain the identities behind 25,000 IP addresses. Earlier this year, Clausen said that after identifying the subscribers he wanted to “enter into non-aggressive dialogue” with them. As we predicted, this apparently friendly introduction would simply lead to inevitable demands for cash. “Have you, or other people with access to the aforementioned IP address, such as children living at home, viewed or tried to watch [a pirate movie] at the specified time?” Njord Law now writes in its letters to alleged pirates. According to IDG, lots of movies are involved, both from local and international distributors. Earlier this year, CELL, IT, London Has Fallen, Mechanic: Resurrection, Criminal and September of Shiraz were named as possible titles. The inclusion of these titles come as no surprise since several have turned up in similar trolling cases all over Europe and the United States. In common with schemes elsewhere, BitTorrent tracking was carried out by MaverickEye, a German-based company that is part of the notorious Guardaley trolling operation. Like most ‘trolling’ cases, figures on how many people are paying up in Sweden are hard to come by. Clausen won’t say how many have parted with cash, but the lawyer says that 60% of the letters have elicited some kind of response. In previous similar projects in the UK, around a fifth of targets paid some sort of settlement. Njord Law insists, however, that those who don’t pay in Sweden may have to face the legal system. While it’s impossible to predict how these cases will go, the usual tactic is to attack the low-hanging fruit first. People who admit some form of guilt can expect the most pressure while those who deny the allegations flat out (subscribers aren’t necessarily infringers) are likely to be placed in a file to be dealt with last, if at all.